Get to know your DJ. Since 2012, I've been introducing newly weds to their first dance and sometimes, joining in on their last. 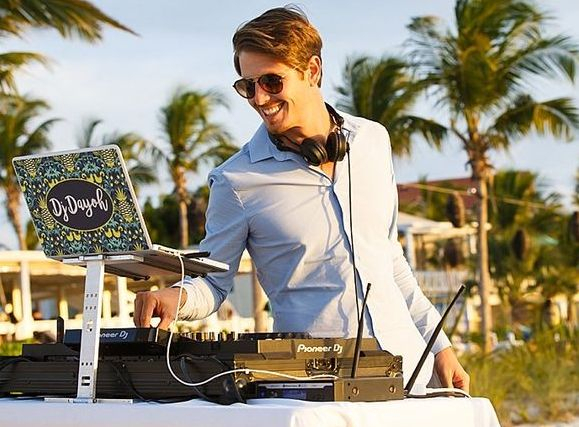 What started as a passion for music, grew into a love for DJing and later developed into starting the first company to specialize in DJ, Emcee and lighting services for weddings and private events here in the Turks and Caicos. Beyond the wonderful destination weddings, I've also had the pleasure of DJing all over the world, from festivals in New York to private events in Florence Italy. I look forward to being a part of your nuptials! Our passion, ability and desire to deliver your event your way has earned us the reputation as one of the top DJ companies in the country, culminating in being awarded the Wedding Wire Couples' Choice Award two years in a row. 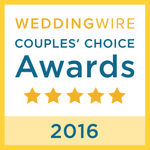 This award recognizes excellence in quality, service, responsiveness and professionalism and is based solely on reviews from newlyweds, with whom we hold a 5 star rating.